Eight Great Reasons Why PME DJ Service Would Be Your Clear Choice In DJ Entertainment. Owner: No guessing who may show up for your event here. PME is owned & operated by one person, which means one Wedding or event at a time to give you full-time attention. Unless I'm out performing you'll always able to reach me. I devote all my time necessary to properly plan & prepare for your celebration. You can be assured to receive the best DJ service since it's my name and reputation. Experience: From the 90s till present day I have helped hundreds of thrilled couples create incredibly fun and unique receptions they will always remember. With all the wonderful compliments, endless referrals, and my great passion for the DJ entertainment industry I know I will be around for many more years to come. 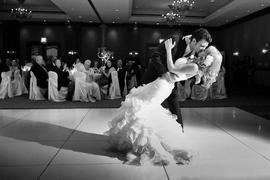 Sound: I only the best in State-of-the-Art Pro DJ sound. You will receive the ultimate sound experience while listening to you favorite selections, and your guests will not miss out on any of the important formalities. Service: Unique fresh ideas with attention to detail that is customized to your style. You can be assured your special day will be exactly the way you want it. You will also feel a sense of comfort knowing a real Master of Ceremonies will be representing you as your spokesperson. Music: With an Extensive Music Library and music knowledge from the oldies to the most recent & Hottest hits. PME DJ Service will program the Music perfectly for your Wedding Reception, Birthday Party, Holiday Party or any type of celebration for all your guests to enjoy. Value: Since PME has been providing Quality DJ service in Phoenix AZ since 1990, 95% of the DJ business today is referral based. With no advertising budget & no overhead. PME Disc Jockey Service passes the savings on to you for the Best Value for your money. Insured: I carry backup equipment as well as full liability insurance, and with the support of the American Disc Jockey Association, you can be assured you will never be without a DJ no matter what. References: I would encourage you to check out the Endless Testimonials from past clients and the Endorsement Letters from other Phoenix Wedding & Event Professionals. Whether you are searching for a Phoenix wedding DJ or looking for a party DJ in AZ for your next birthday party you won't find a DJ service to better fit your needs. As a full time DJ service, PME can perform in any city in Arizona at anytime you need. So if you live in Scottsdale, Tempe, Chandler, Mesa, Glendale or if your celebration will be held in Sedona, Prescott, Flagstaff, Show Low, or Tucson, we can be there when you need us. PME DJ Service is fully insured and is a registered DJ business in Maricopa county. Please take some time to browse through my website. You will find all the Arizona DJ information you need to know about Disc Jockey Entertainment for your next wedding reception or event.